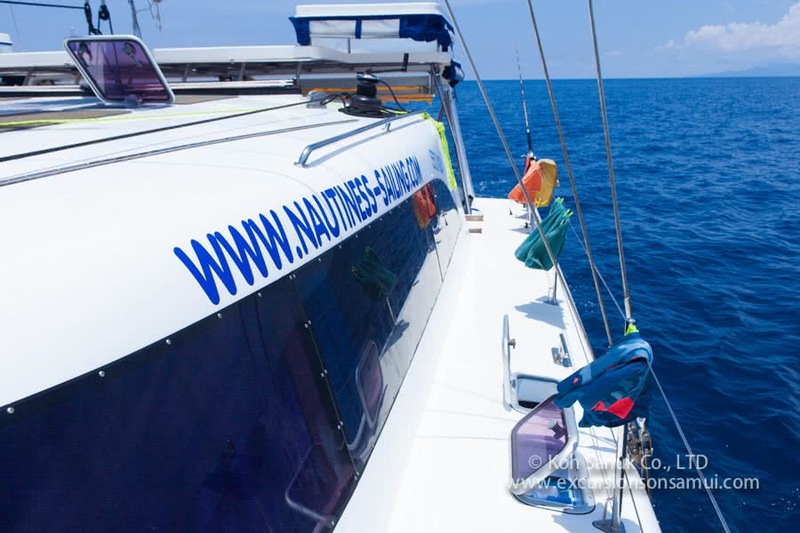 Nautiness II is a catamaran with 5-star, all inclusive service on board. 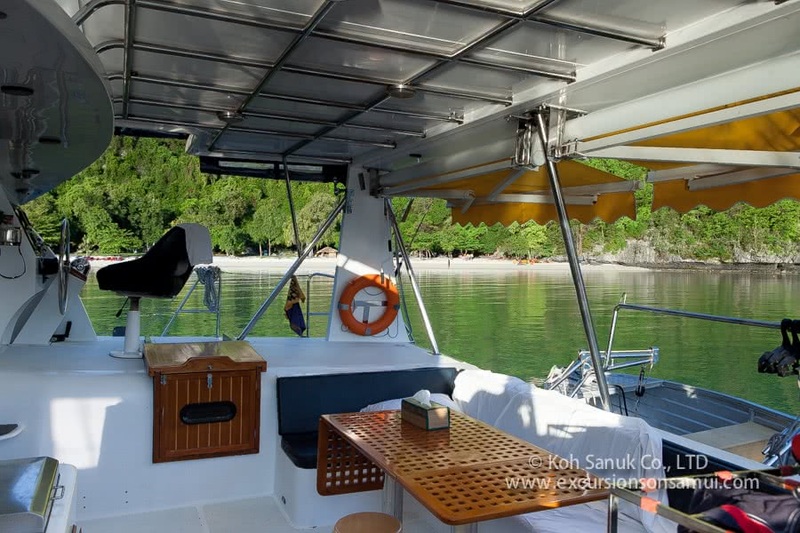 She offers one-day cruises and 2-17 day safaris with overnights in comfortable cabins of this wonderful catamaran. 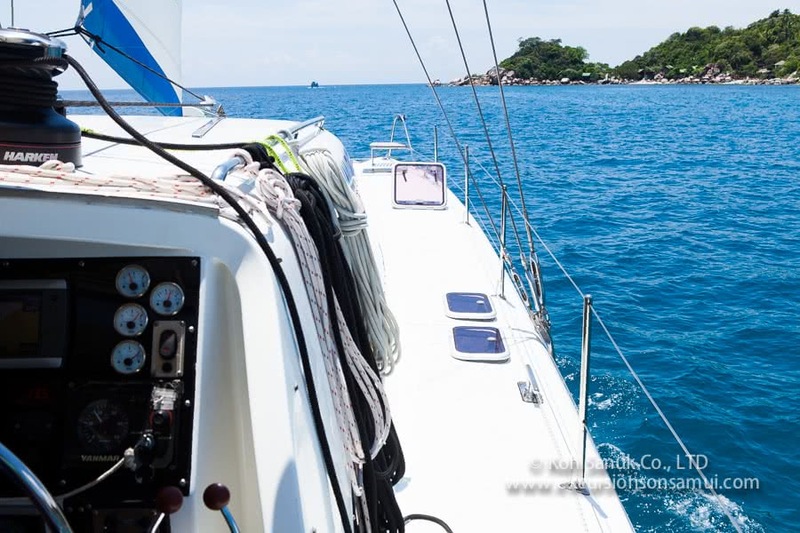 Make your Sailing experience with an overnight stay on board of the most modern and biggest live-aboard sailing catamaran in the archipelago around Koh Samui. 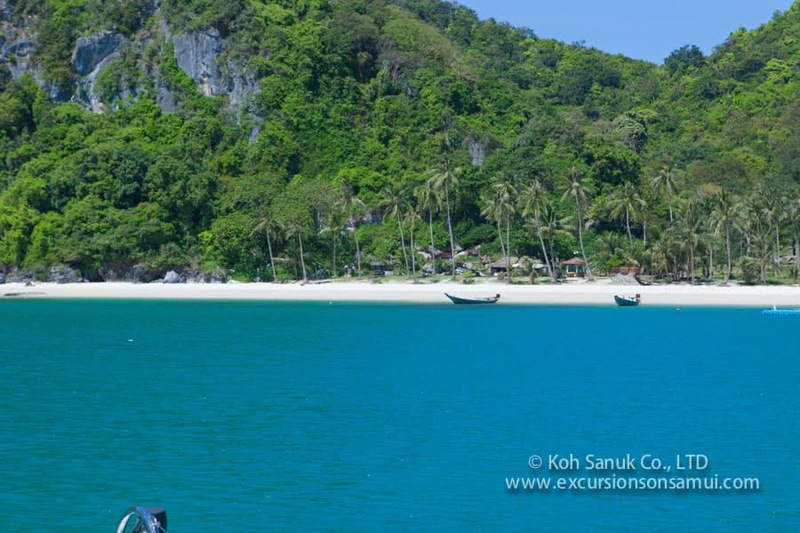 Starting at 09:00 from northern Samui to Koh Phangan & Koh Ma, or into the Angthong National Marine Park. 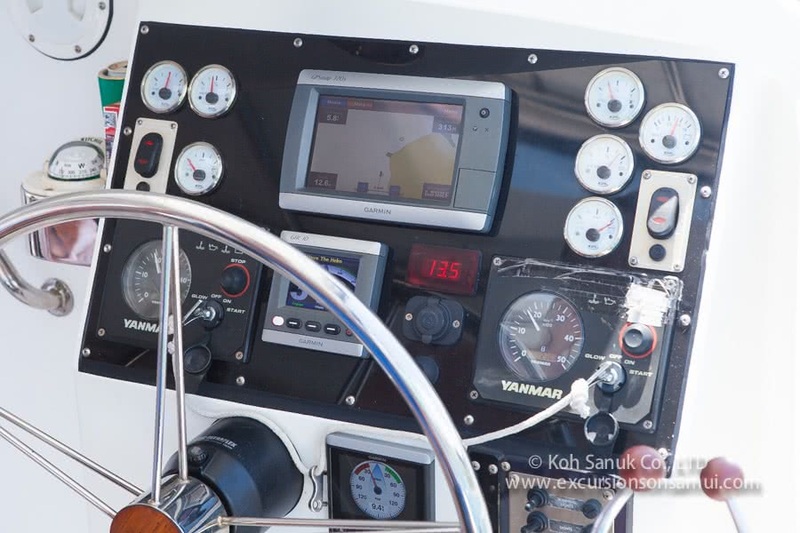 See how to sail a modern boat with 20 tons and wind power only or challenge your luck and try to catch a fish withdrawing. 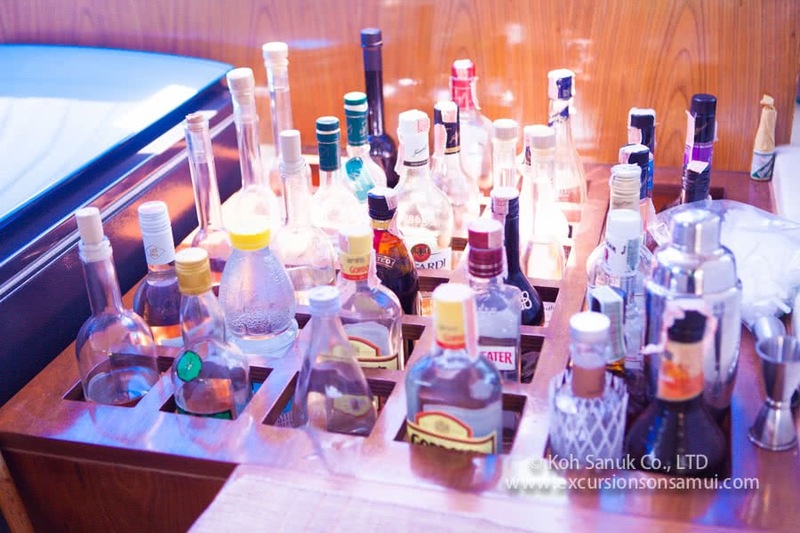 During the trip, we will serve some juices, snacks and a fruit basket. Breakfast, 2 Lunch, and 1 Dinner are included of course. 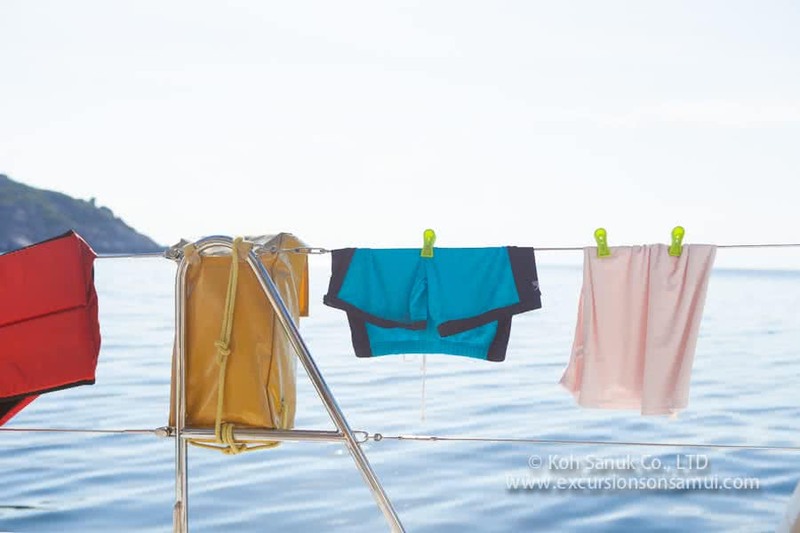 Equipment for snorkeling is on board included in different sizes. 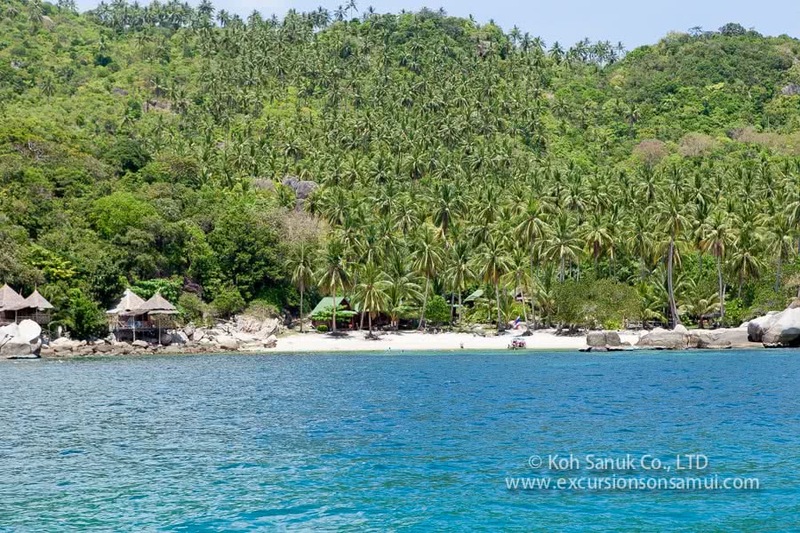 Day 1: The main island of Angthong National Marine Park /Alternative: Koh Phangan & Koh Ma for snorkeling, where we will have our first overnight stay after swimming in the sea and having lovely served dinner on board. Day 2: An early morning walk with good shoes up to the viewpoint. Enjoy this hiking trip in a completely private atmosphere, before other tourists are coming. 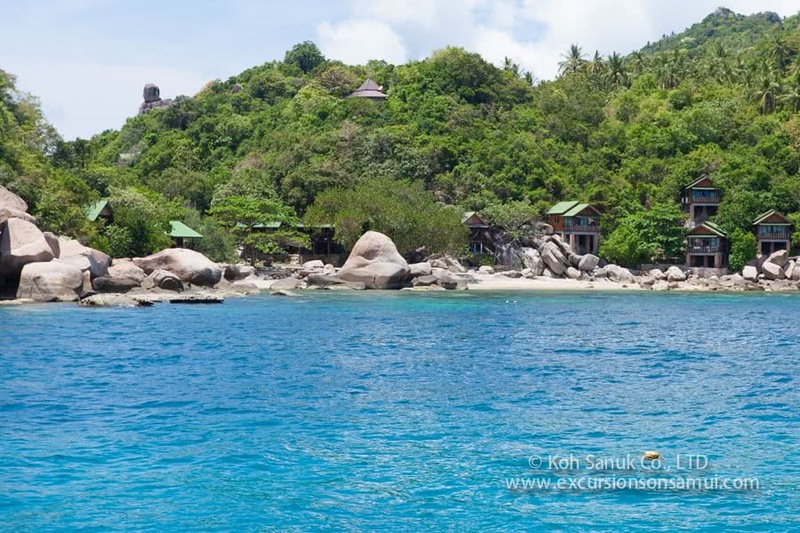 After the breakfast, our team drive with you through the whole Marine Park to Koh Tao or Koh Pha Ngan & Koh Ma – depend on wind conditions, where we will spend the 2nd night. 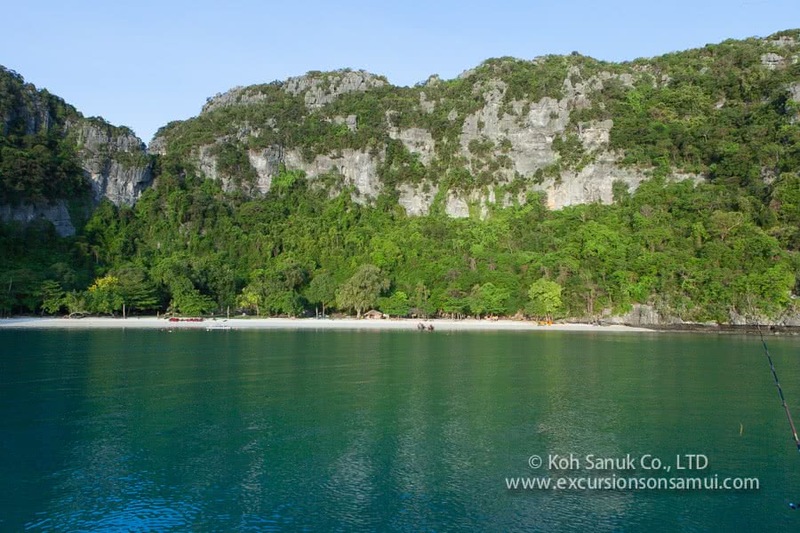 Day 3: In the morning you have the possibility for snorkeling and swimming in crystal clear waters. 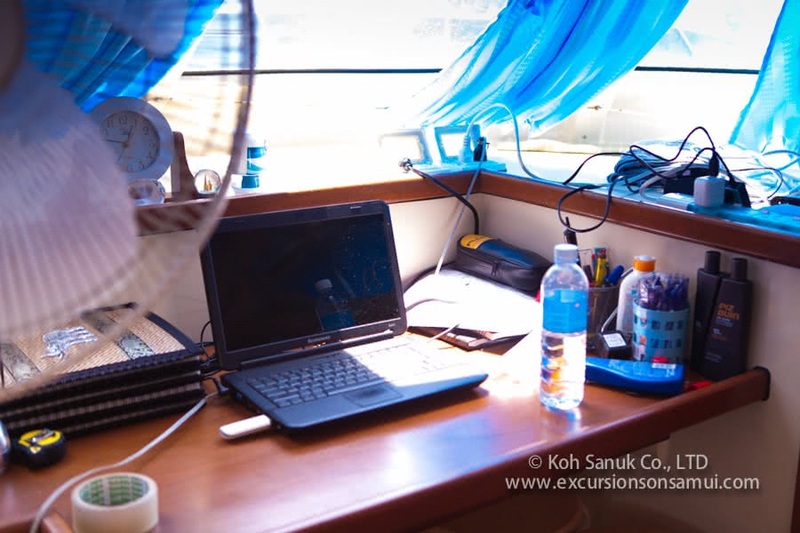 After the lunch, our captain will sail with you back to Koh Samui. 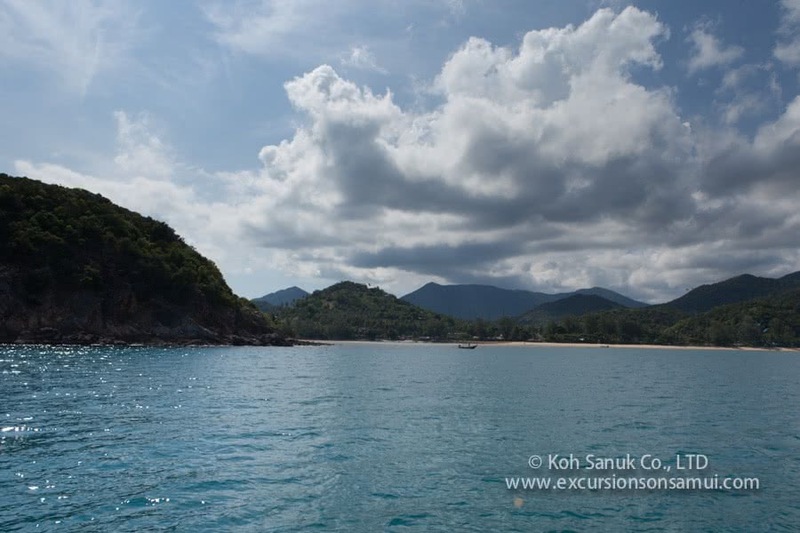 Day 1: The main island of ANGTHONG National Marine Park. After this round about 6 hours trip, you can walk on land and have a nice ice-coffee at the beach bar. 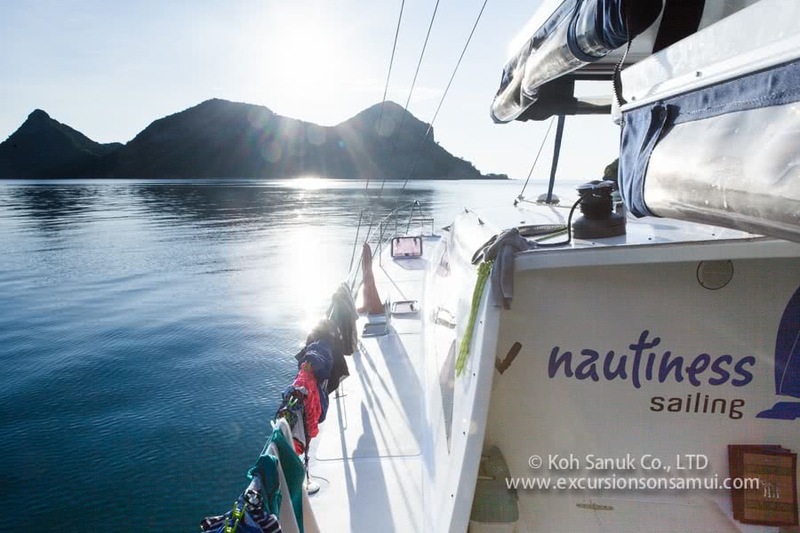 Take your dinner and have your first night on board of Nautiness II. Day 2: An early morning walk with good shoes up viewpoint point. 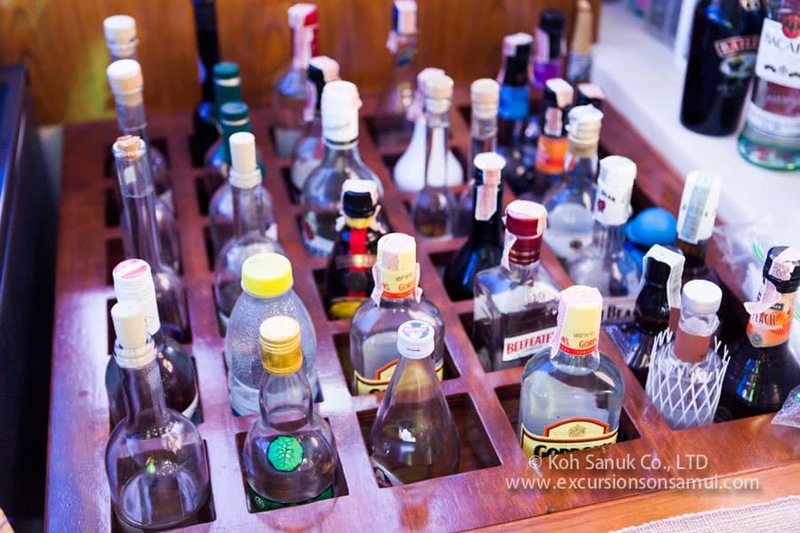 Enjoy this trip completely private before other tourists are coming. 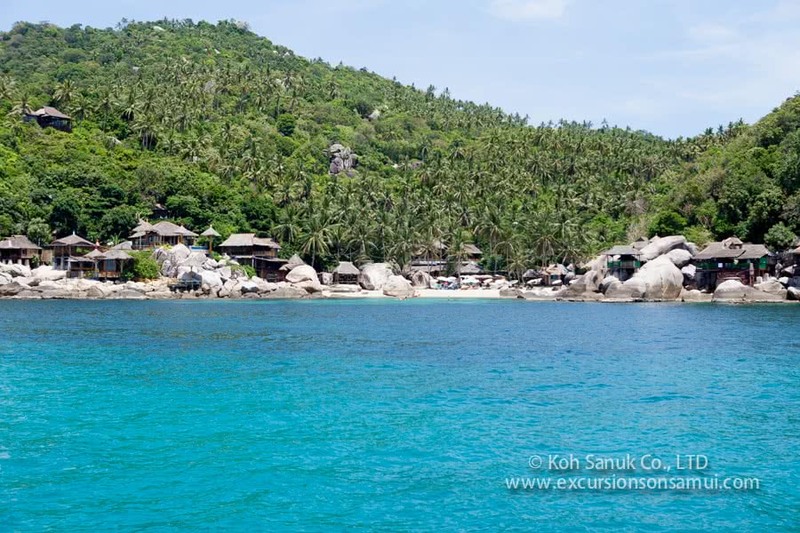 After the breakfast,t our team drive with you through the whole Marine Park and sail to Koh Tao, where we will spend one day and night for snorkeling, diving and swimming in crystal clear waters. 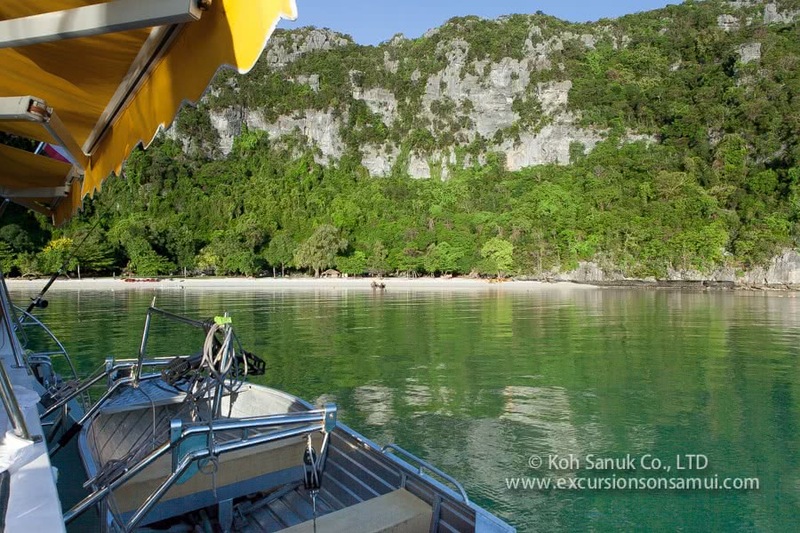 Day 3: Change to another private bay and have some unbelievable experiences in, over and under the sea. 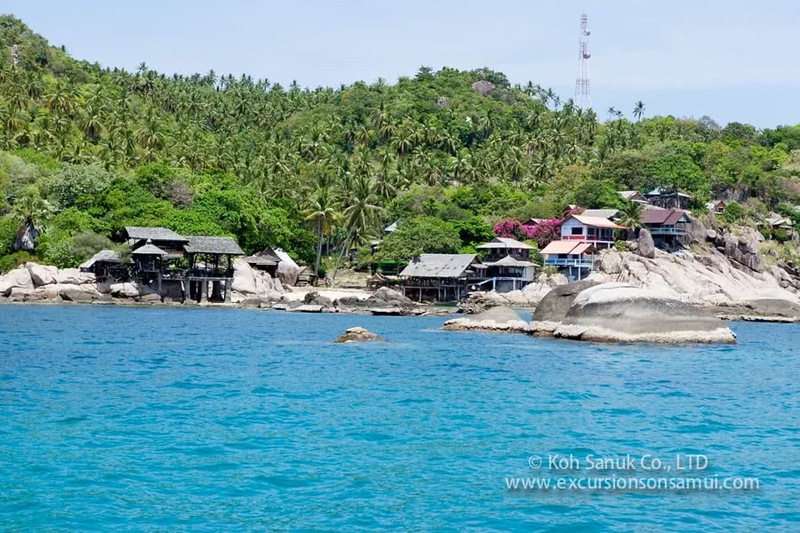 In the afternoon we sail to Koh Phangan and will sleep the last night on your swimming hotel with a great Dinner on board or also in a restaurant on the beach. 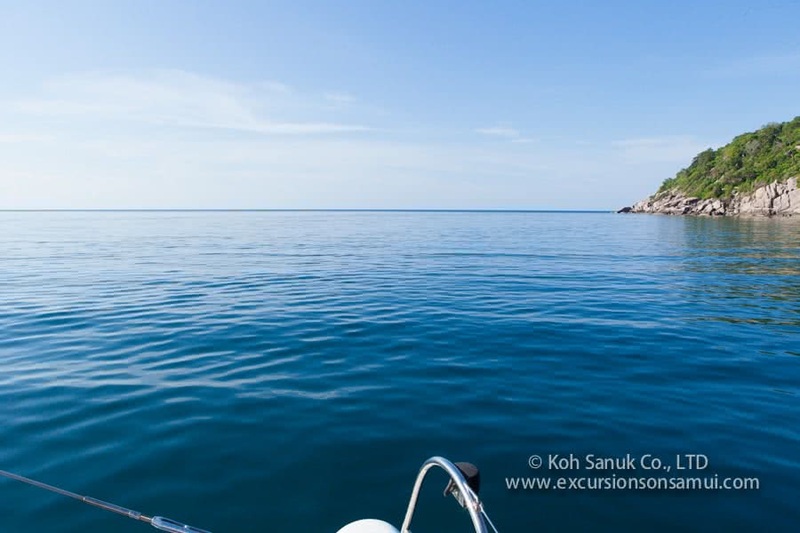 Day 4: We start the last day with sailing along Koh Pha Ngan and will be returned to Ko(h) Samui approximately at 6 pm. Don’t forget your camera – you will see some nice locations from a completely new point of view. 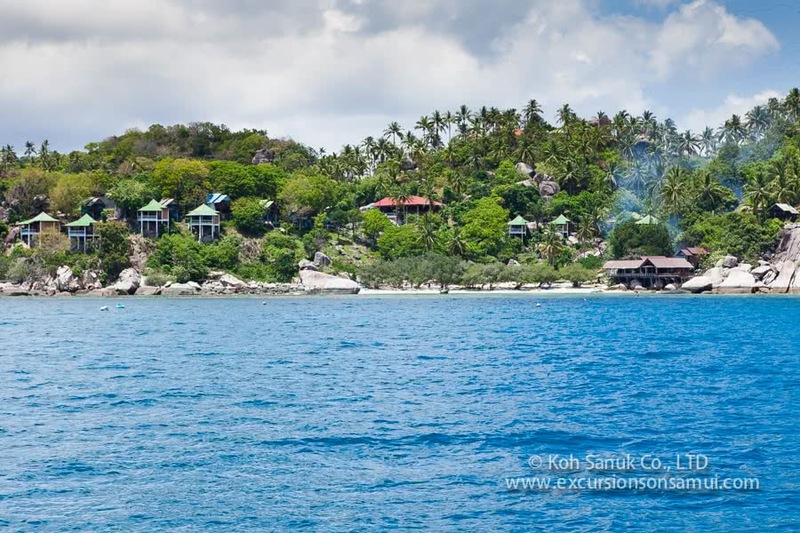 Day 1: The South of Koh Samui, passing the Five Islands and Tong Krut to Koh Tan or Koh Madsum, where we will have our first overnight stay after swimming in the sea and having lovely served dinner on board. 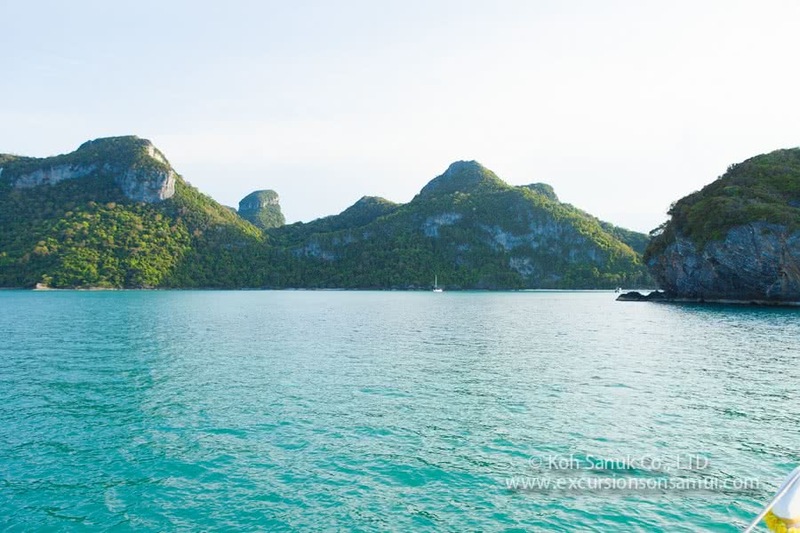 Day 2: After a great breakfast we sail in the direction of Angthong National Marine Park and have an appointment with an amazing Rock to make some pictures. 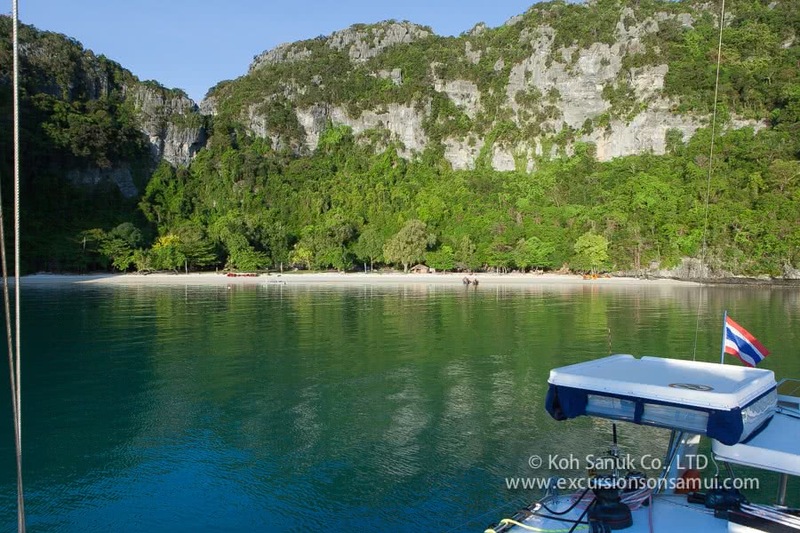 After that our crew brings us to the main island of Ang Thong. You can walk on land and have a nice ice-coffee on the beach bar. Day 3: An early morning walk with good shoes up to the viewpoint. Enjoy this trip completely private before other tourists are coming. 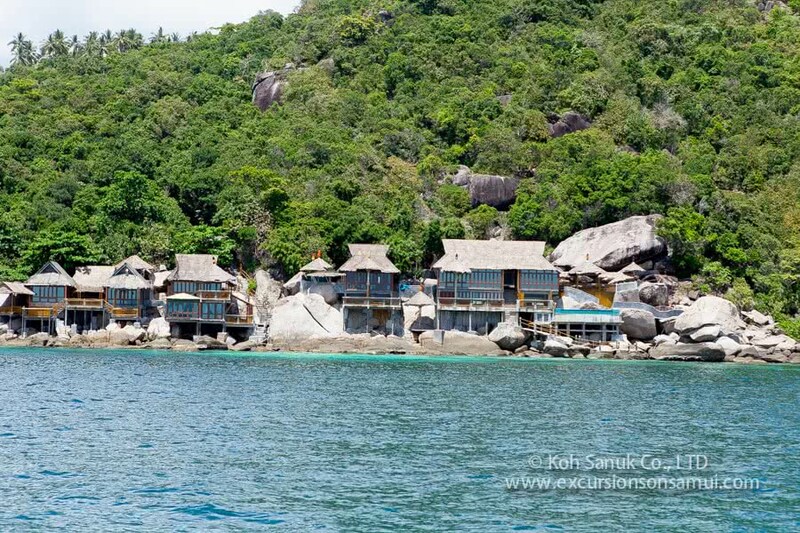 After the breakfast, our team drives with you through the whole Marine Park to Koh Tao, where we will spend one day and night for snorkeling, diving and swimming in crystal clear waters. 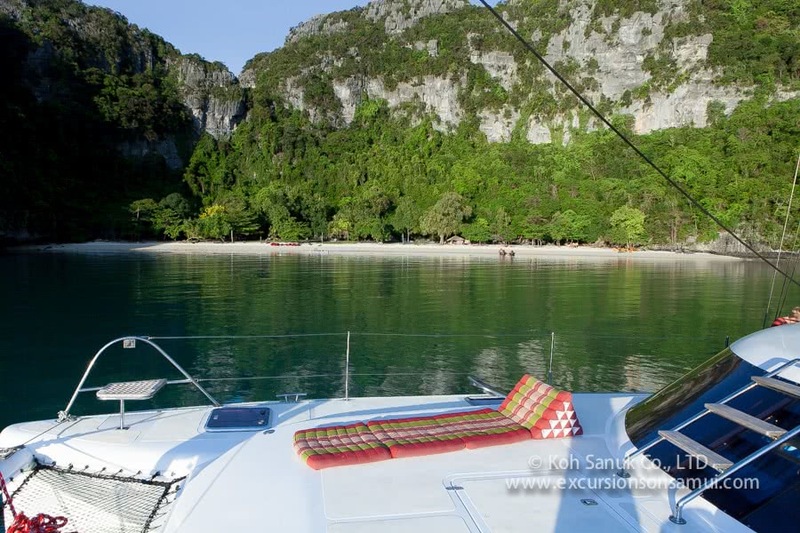 Day 4: Change to another private bay and have some unbelievable experiences in, over and under the sea. In the afternoon we sail to Koh Phangan and will sleep the last night on your swimming hotel with a great Dinner on board or also in a restaurant on the beach. 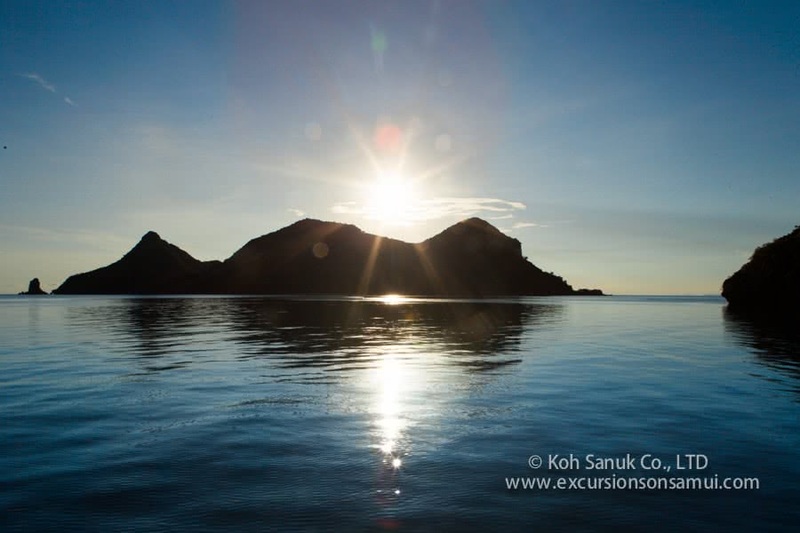 Day 5: We start the last day with sailing along Koh Pha Ngan and will be returned to Koh Samui approximately at 6 pm. Don’t forget your camera – you will see some nice locations from a completely new point of view. 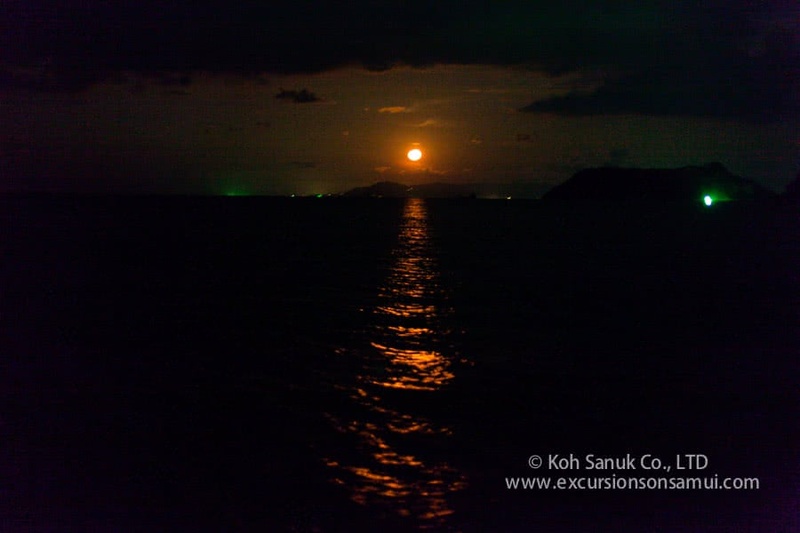 Day 1: The South of Koh Samui, passing the Five Islands and Tong Krut to Koh Tan, where we will have our first overnight stay after swimming in the sea and having lovely served dinner on board. 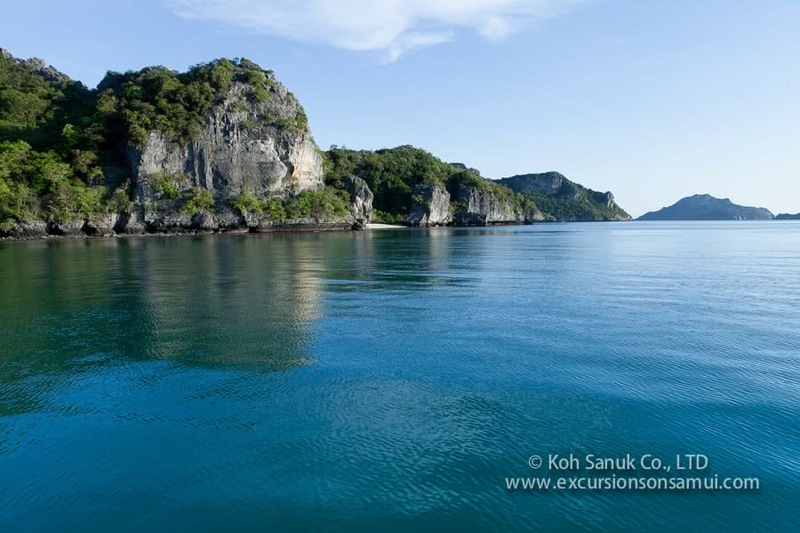 Day 2: After a great breakfast we sail in the direction of South-Angthong National Marine Park and have an appointment with an amazing Rock to make some pictures. 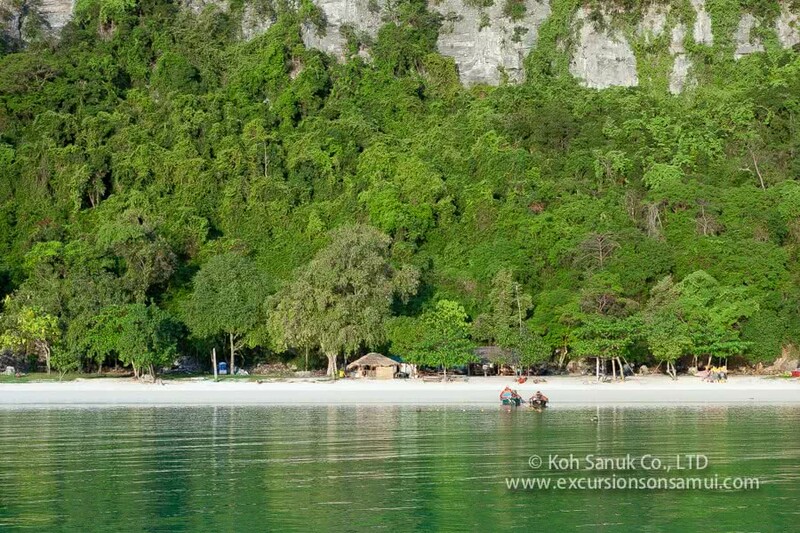 After that, our team brings us to the main island of Angthong. You can walk on land and have a nice ice-coffee on the beach bar. Day 3: An Early morning walk with good shoes up to the viewpoint. Enjoy this trip completely private before other tourists are coming. 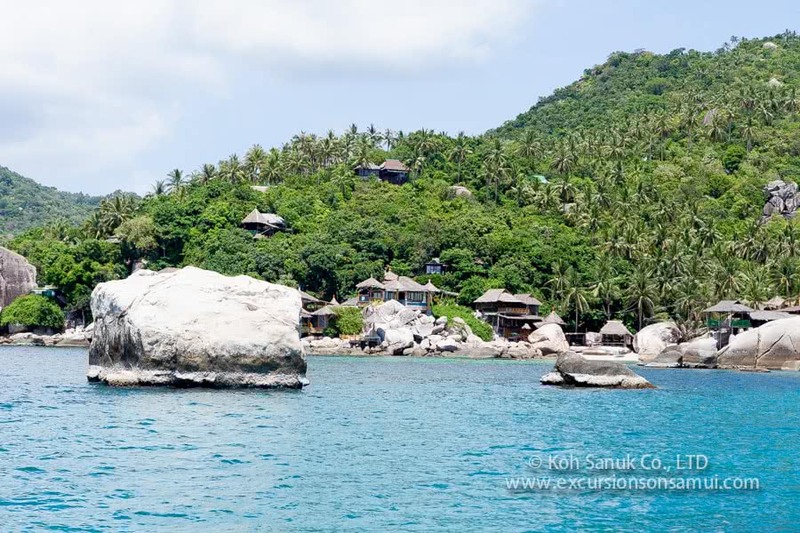 After the breakfast, our team drives with you through the whole Marine Park to Koh Tao, where we will spend 3 days and 2 nights with snorkeling, diving and swimming in crystal clear waters. 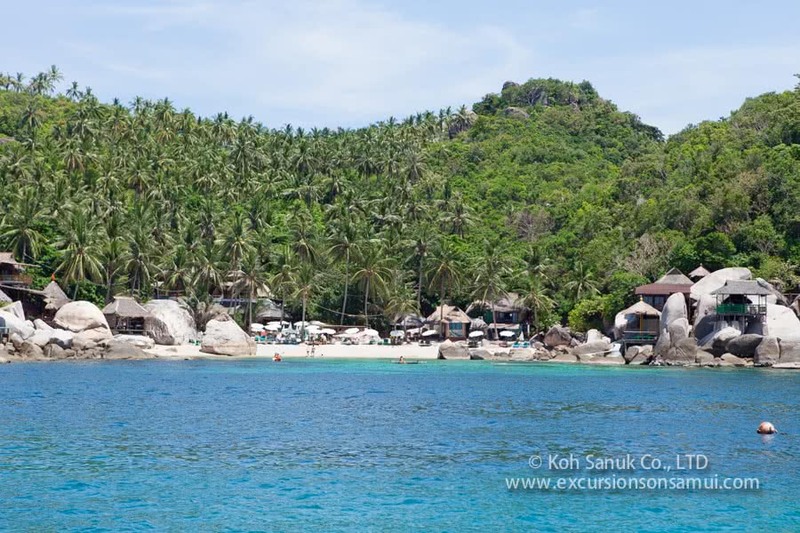 Day 4: We bring the boat to another amazing bay at Koh Tao and have some land excursions if you want. Dinner in a local restaurant at night and explore the bay on day-light. 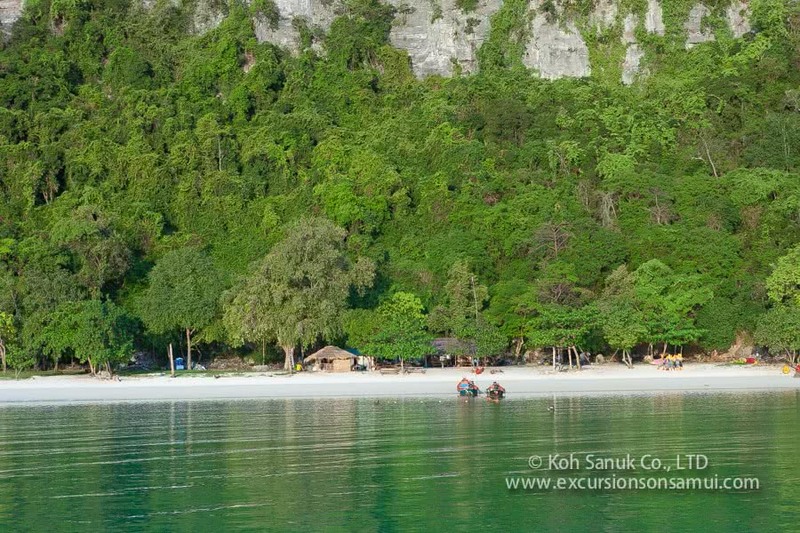 Day 5: Change to another private bay and have some unbelievable experiences in, over and under the sea. 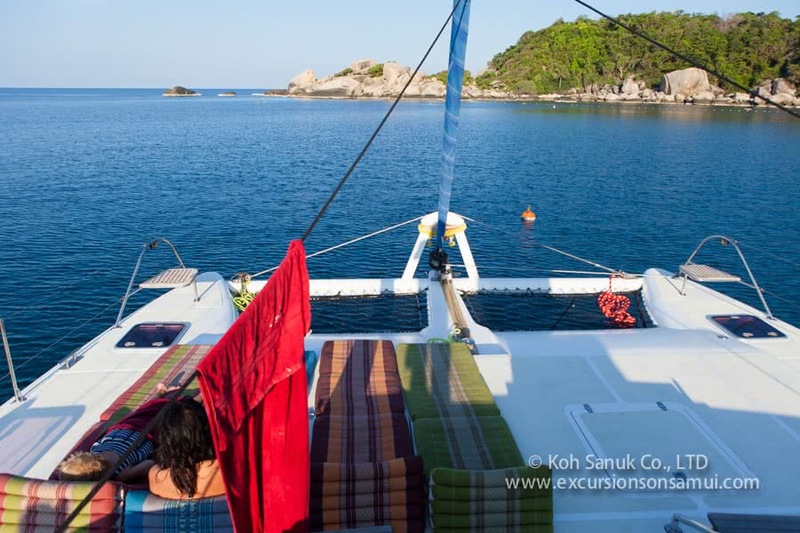 In the afternoon we sail to Koh Phangan and will sleep the last night on your swimming hotel with a great Dinner on board or also in a restaurant on the beach. 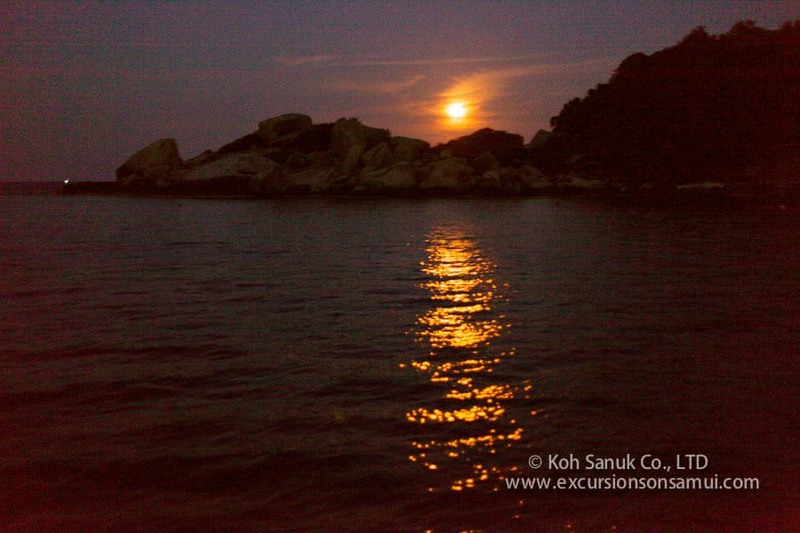 Day 6: We start the last day with sailing along Koh Phangan and will be returned to Koh Samui approximately at 6 pm. Don’t forget your camera – you will see some nice locations from a completely new point of view. 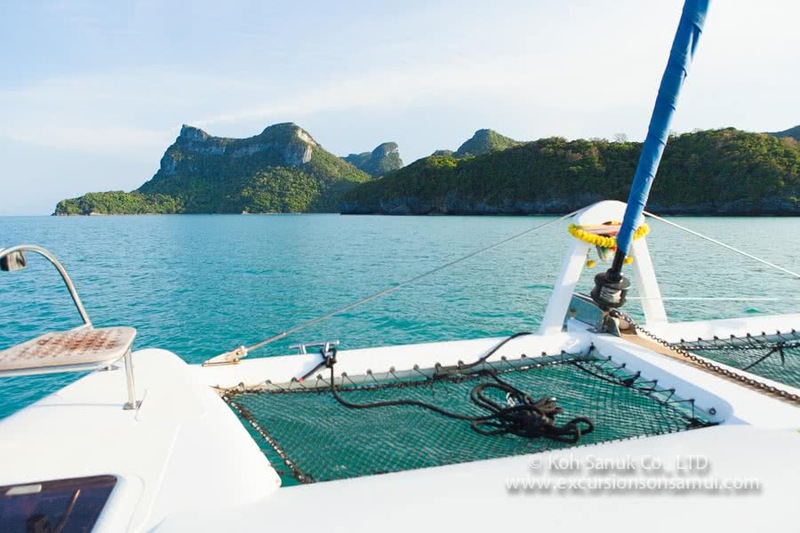 Day 2: After a great breakfast we sail in the direction of South-Angthong National Marine Park and have an appointment with an amazing Rock to make some pictures. 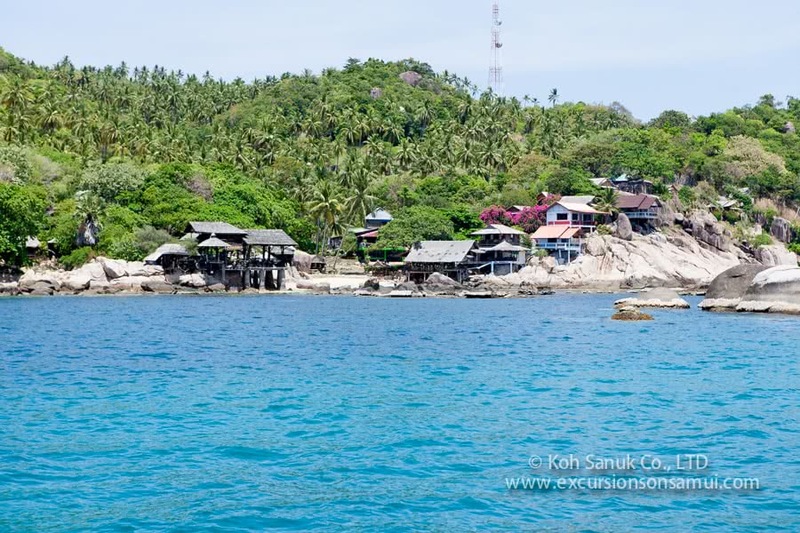 After that our crew brings us to the main island of Angthong. You can walk on land and have a nice ice-coffee on the beach bar. 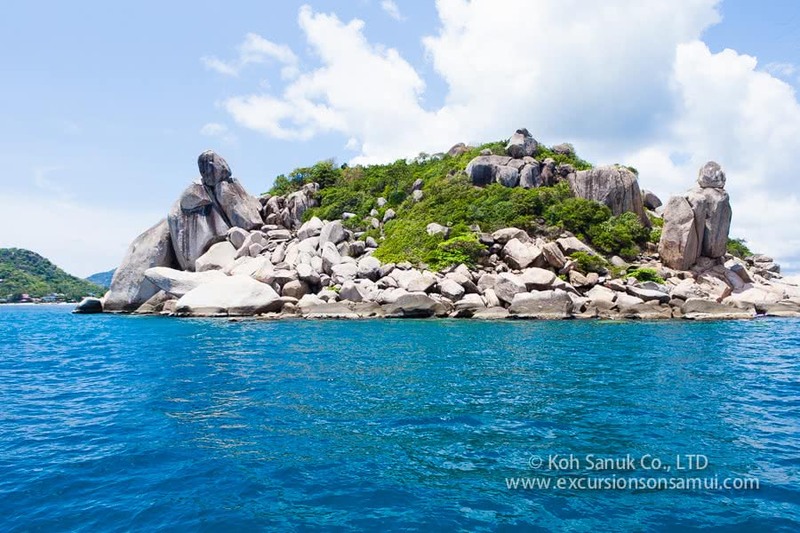 Day 5: One day for relaxation and nature-pleasure in front passing Koh Tao is incredible rock-formations. Our captain will find another perfect place to go anchors in a dream bay. 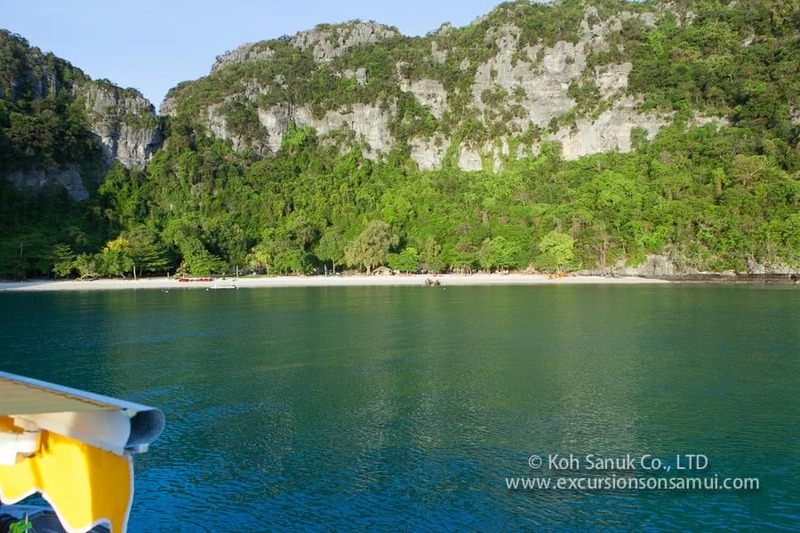 Day 6: Change to another private bay and have some unbelievable experiences in, over and under the sea. 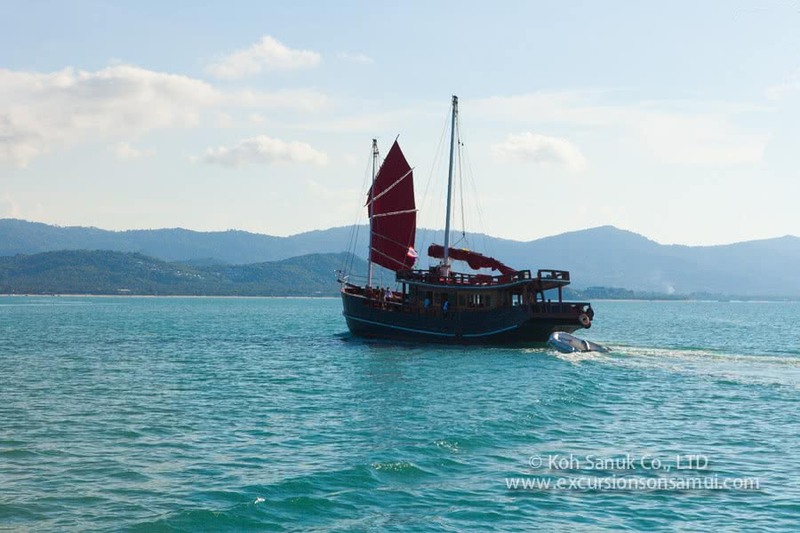 In the afternoon we sail to Koh Phangan and will sleep the last night on your swimming hotel with a great Dinner on board or also in a restaurant on the beach. 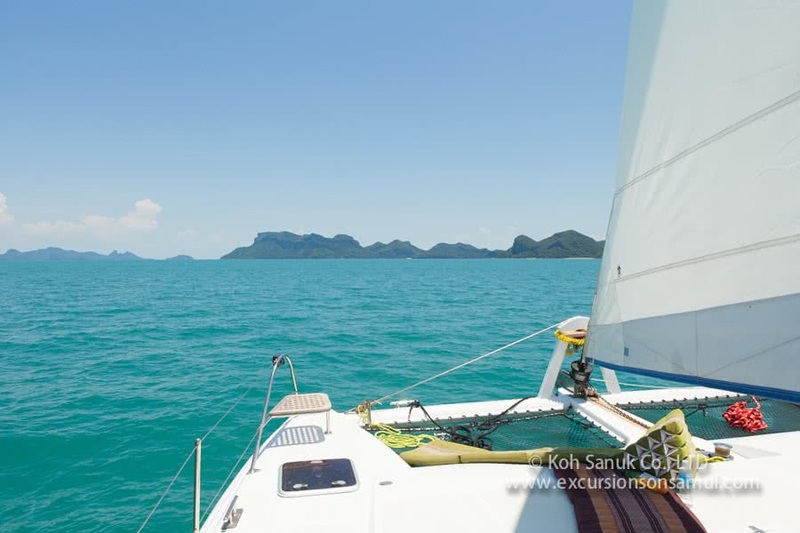 Day 7: We start the last day with sailing along Koh Phangan and will be returned to Koh Samui approximately at 6 pm. Don’t forget your camera – you will see some nice locations from a completely new point of view. 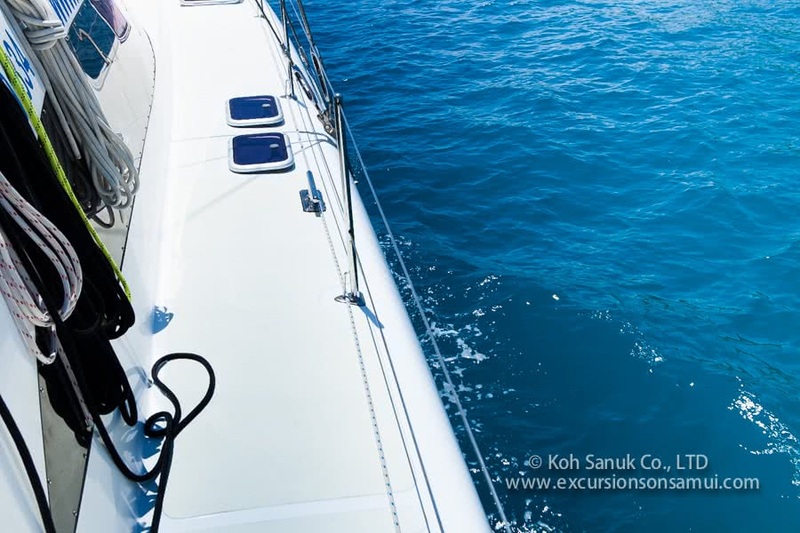 Bunks: 4 comfortable cabins: Divided into 3 Double-Bed cabins for our All Inclusive Live Aboard Guests, 1 Skipper cabin, and 2 sleeping berths either for crew members, dive instructors or for the children of our guests. Fuel Tanks: 2 x 800 Ltr. 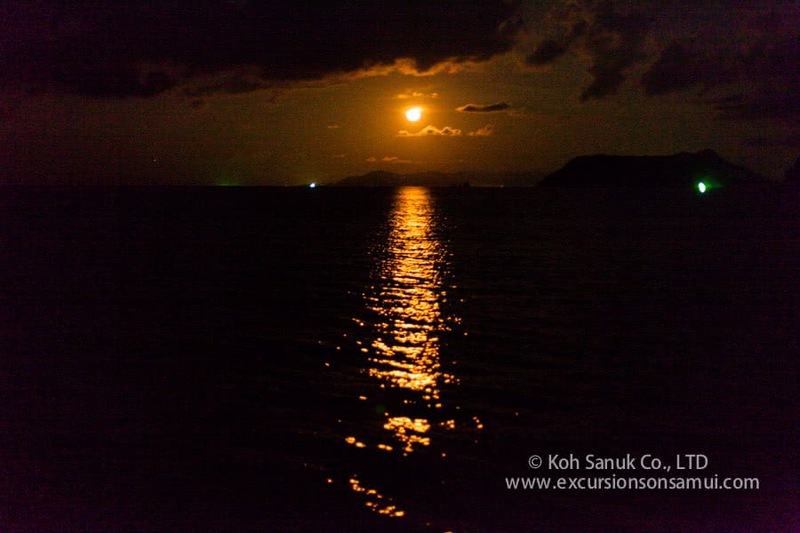 Reviews for "Overnight cruises from Koh Samui by catamaran Nautiness II"
A week soooo feel good and safe, thank you! I was lucky to have the opportunity spending a week together with my husband on this catamaran. All preparations, beginning with booking in front of our PC at home and Christian at the other end answering every question by email, followed by in time pick up from our Bungalow, check in (I needed nothing to do, just get on deck of Nautiness; all luggage somehow was suddenly on board, too) was already "1st class". I never will forget the evening hours, when hanging on a buoy, enjoing dinner, the sound of the waves and lights at the beaches. But also dinner on land, from simple Thai garage up to top level restaurant rounded up a potpourri of possibilities and impressions. The turn was a great step in further re-establishing of my health and trust in my own possibilities. Thank you Christian, Andi and Crew! 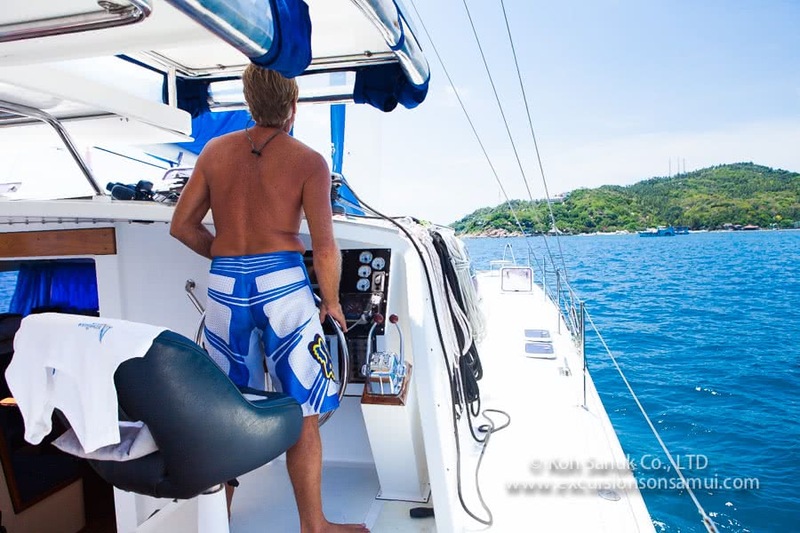 I was lucky enough to go 4 days sailing with the boat. My first impressions were warm, helpful, sense of good humour and most of all feeling as travelling with friends. 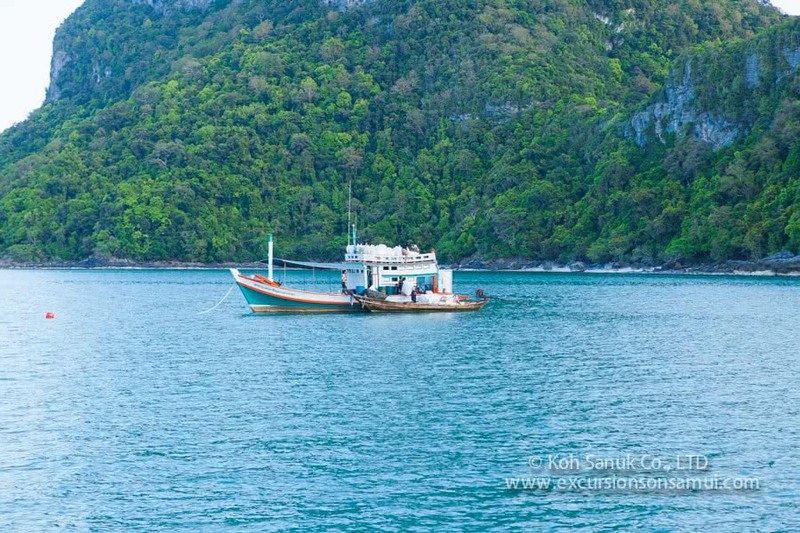 The boat is great to go to the Angthong Marine Park. Just cruising between the islands and we were in luck. 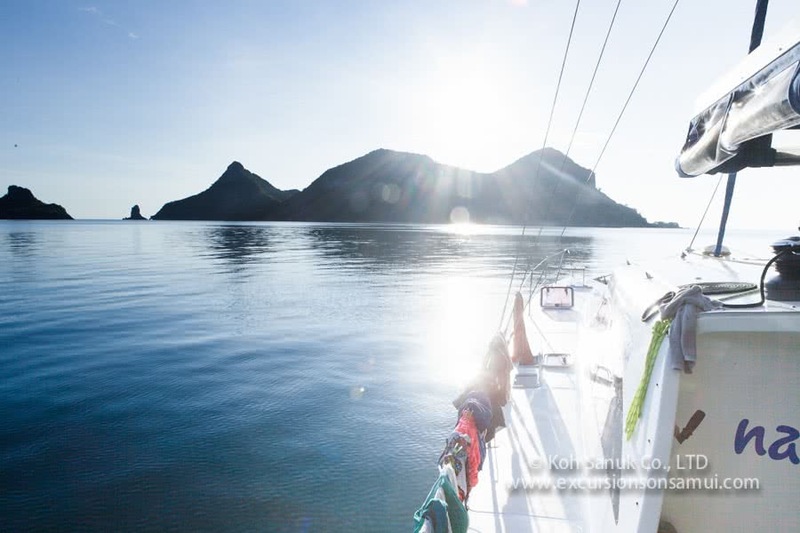 We had beautiful sunny skies and calm seas. We even spotted a dolphin on our way to the park. 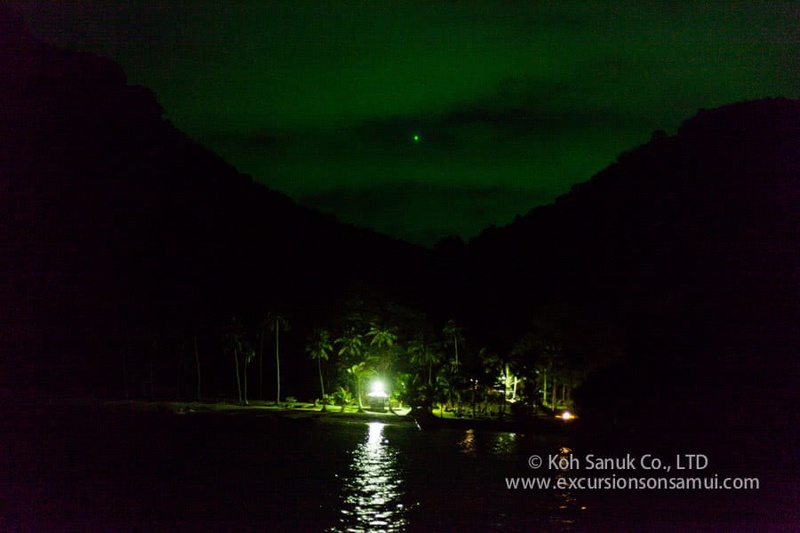 The night we spend in a secluded bay and enjoyed the Spaghetti made by Andi. Evening hours is what you want to make from it. Easy on the deck enjoying the starry sky and the total absence of noise. Only nature. Or just play 'wurfelen' with the crew. 😉 I spent the night outside on the deck and sleep in under a starry sky. Early morning we were gifted to have a great sunrise over the park. All the trips are easy and you can wish for everything and they will try their best to make it happen. Just as my title is one word 'GREAT' !!!! 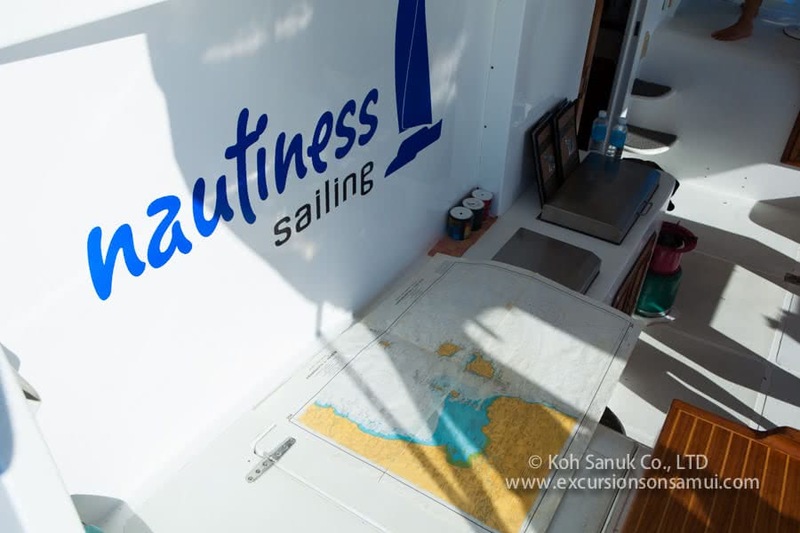 I am looking forward to my next trip with the Nautiness 2 and the crew.